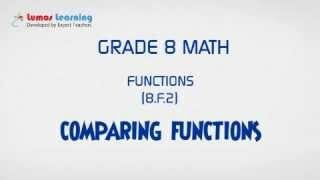 Grade 8 Math - Comparing Functions 1 is a free educational video by Lumos Learning.It helps students in grades 8 practice the following standards 8.F.2,8.F.A.2,. 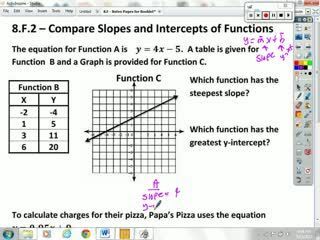 This page not only allows students and teachers view Grade 8 Math - Comparing Functions 1 but also find engaging Sample Questions, Apps, Pins, Worksheets, Books related to the following topics. 1. 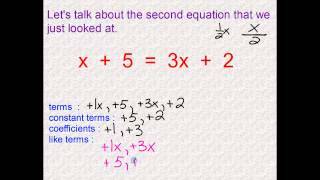 8.F.2 : Compare properties of two functions each represented in a different way (algebraically, graphically, numerically in tables, or by verbal descriptions). 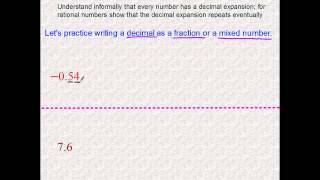 For example, given a linear function represented by a table of values and a linear function represented by an algebraic expression, determine which function has the greater rate of change. .
2. 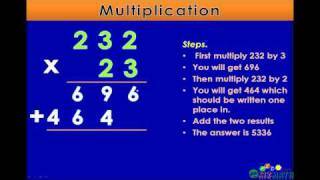 8.F.A.2 : Compare properties of two functions each represented in a different way (algebraically, graphically, numerically in tables, or by verbal descriptions). 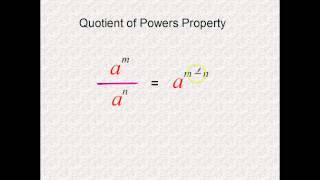 For example, given a linear function represented by a table of values and a linear function represented by an algebraic expression, determine which function has the greater rate of change. .